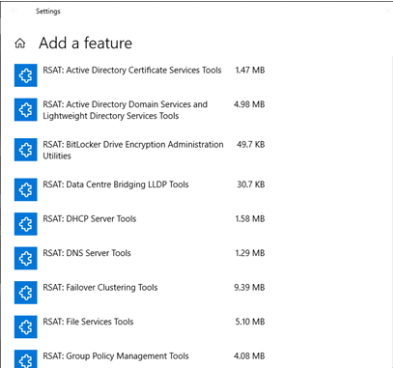 Starting with Windows 10 October 2018 Update, RSAT is included as a set of «Features on Demand» in Windows 10 itself. Newer Posts error CS0012: The type 'System.Object' is defined in an assembly that is not referenced. You must add a reference to assembly 'System.Runtime, Version=4.0.0.0, Culture=neutral, PublicKeyToken=b03f5f7f11d50a3a'.